Microsoft confirmed lingering Xbox One questions today, including whether its new console would require a constant internet connection and eliminate used game sales. It turns out that the Xbox One will only require gamers to check-in every 24 hours, reducing the chance that there will be a bunch of always-online catastrophes. "With Xbox One you can game offline for up to 24 hours on your primary console, or one hour if you are logged on to a separate console accessing your library," wrote Microsoft on its new Xbox Wired blog. "Offline gaming is not possible after these prescribed times until you re-establish a connection, but you can still watch live TV and enjoy Blu-ray and DVD movies." 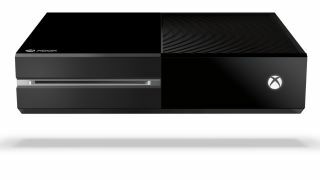 Microsoft made it a point to outline the benefits of its DRM-like, routinely-on connection for its Xbox One. Developers will be able to take advantage of the cloud by offloading the processing of massive, persistent worlds and gamers will have an always updated system, games and apps at all times. Owners of Microsoft's new console will also be able to access their entire games library from any Xbox One thanks to the fact that games are stored on the cloud. "So, for example, while you are logged in at your friend's house, you can play your games," wrote Microsoft. Microsoft also clarified its used games sales policy for the new console, clearing the way for the original owner of a game to sell or give the game to a friend. "There are no fees charged as part of these transfers," noted Microsoft. "There are two requirements: you can only give them to people who have been on your friends list for at least 30 days and each game can only be given once." Xbox One game trade-ins to stores, however, will be up to game publishers. "We designed Xbox One so game publishers can enable you to trade in your games at participating retailers," wrote Microsoft. "Microsoft does not charge a platform fee to retailers, publishers or consumers for enabling transfer of these games." The company noted that loaning or renting games won't be available when Xbox One launches this fall, but that it's exploring the possibilities with its partners. Hello, there. Keep your 'pause' mode off of me. The promise of an always-on Kinect 2.0 isn't as cute as Microsoft's cub-filled Kinectimals game. That's because the "feature" in which the 1080p camera is always listening sounded made the new Kinect sound like an Orwellian spy tool. So, in addition to explaining its Xbox One check-in and used games policy, the company also stated that Xbox One Kinect sensing can be in an "on, off or pause" mode. "When Xbox One is on and you're simply having a conversation in your living room, your conversation is not being recorded or uploaded." Likewise, when the system is off, it's only listening for the "Xbox, on" command, according to Microsoft, and you can even turn that feature off, too. Read our Xbox One vs PS4 match-up to see if this puts Microsoft back on equal footing with Sony.